Chihuahuas are a unique breed of dog. Their small stature makes them an ideal pet for young kids and large families. They also fare well in a variety of homes, including small apartments. Beyond their size, Chihuahuas are best known for their fiery personalities. These pint-sized pumps are energetic and very active. They can also be very stubborn and have the bravado of a dog five times their size. While their big personalities can make them a joy to be around, it can also lead to some unusual issues that you don't normally experience with other breeds. Chihuahuas are notorious for their picky appetites. Unlike other dogs that will scarf down anything you place in front of them, these pups are a bit more selective. 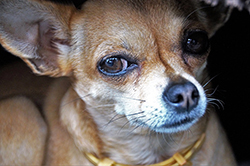 It's not uncommon for Chihuahuas to refuse a meal just because they don't like the taste. So this bears the questions: What exactly do Chihuahuas like to eat? There are a number of reasons why your dog may not enjoy the food they're eating. The simplest reason may just be that they don't like the taste. Contrary to popular belief, dogs do have personal preferences. Some dogs love all kibble flavors while others stick to a specific formula for their entire lives. However, in most cases, there's a bigger issue at hand. Chihuahuas tend to have weaker digestive systems. Because they are so small, everything that they eat has a bigger effect on their body. When a bigger dog eats an ingredient that their body doesn't agree with, it's usually not a big deal. They may experience some minor issues, but for the most part, a small amount of a single ingredient isn't going to do much damage if the rest of the formula is fine. Chihuahuas, on the other hand, eat significantly less food each day. When your dog is only eating about 120 calories each day, every little bit counts. Dogs aren't capable of telling you what they're feeling. As a result, they'll just avoid their food until you get the picture. It's imperative that you find a dog food that your pooch will love. They need all the nutrition they can get. Whether you're making their food from scratch or you're purchasing commercial kibble, finding the right ingredients can make all the difference. Your pup's food should be providing them with the nourishment they crave. Thanks to their distinct personalities, you should be able to see whether or not your dog enjoys a particular food simply by watching their reactions. When you feed your dog, see if they're excited to eat. It's one of the easiest ways to tell if you're providing the right food. With that being said, food also needs to provide proper nutrients. This can be a bit harder to detect right away. However, signs of a poor diet will appear over time. You should monitor your dog's body and activity to determine if the food is providing them with all their dietary requirements. Look out for these signs of malnutrition. Your dog's fur can change based on their food intake. A lack of nutrients will cause the fur to look dull. It may start to change colors a bit and lose its natural sheen. In severe cases of malnutrition, your dog may experience hair loss beyond the norms of shedding. Other physical issues include obesity and developmental issues. Dogs can't grow properly without a healthy diet. They may experience stunted growth. On the other end of the spectrum, some cheaper foods are essentially empty calories that lead to excessive weight gain. A bad diet can lead to severe dental issues. 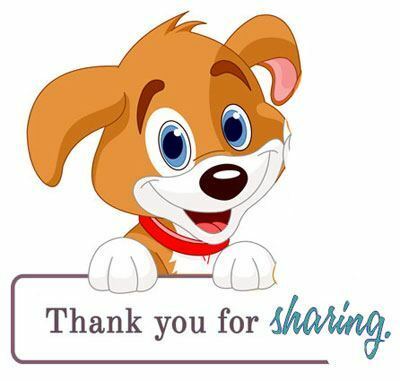 Smaller dogs are prone to tooth decay and periodontal disease. You may start to notice bad breath, discoloration, and gum problems. A proper diet is the foundation of a healthy immune system. Without it, your dog is prone to a host of diseases. If your pup suffers from allergies, these issues can also get worse. If your dog has a significant shift in personality, it may indicate poor nutrition. Usually, Chihuahuas have high metabolisms and plenty of energy that lasts through the day. However, a lack of fuel will make them lazy. The dog food market is filled with a wide variety of options. It can be overwhelming sifting through the many brands and formulas. To make matters worse, it can be difficult to distinguish what recipes are good and what recipes are bad. While it's common to consider price when shopping for your pup's food, prices aren't always an accurate depiction of a particular product's quality. Prices are polarizing, so you need to take a look at the ingredient's list to get a better idea of how a food will affect your canine companion. Your dog is another member of your family, so you need to take some extra time planning their diet accordingly. While it may be tempting to go with the cheapest bag of kibble on the shelf, doing so can have a serious effect on your Chihuahua. When you're planning your dog's meals, start with the essentials. These foods are necessary to achieve a balanced diet. They're also loved by most pups, so you shouldn't have any problem getting your dog to consume them. These ingredients should be a part of your dog's kibble or homemade meals. Protein is a dog food staple. It's the single most important food that your dog will consume. At the very least, your Chihuahua's diet should consist of 40% protein. This includes whole meat sources like chicken, lamb, beef, or fish. With commercial kibble, a meat source should be the first thing listed on the ingredients list. For homemade meals, go with lean meats that are low in fat. A wide variety of fruits and vegetables are a must. They provide your pooch with the essential vitamins, minerals, and nutrients they need to thrive. To help with their sensitive stomachs, high-fiber vegetables like peas and leafy greens are ideal. Healthy fruits like raspberries and apples are also great because they contain beneficial antioxidants. While it may take some time to find specific fruits and vegetables that your dog likes, the process of trial and error will be worth it in the end. The right plant-based foods make great treats. Like protein, your dog's diet should be made up of 40% fruits and vegetables. Complex carbohydrates include ingredients like sweet potatoes, peas, beans, and a host of vegetables. These ingredients provide energy throughout the day. Unlike simple carbohydrates, complex varieties are absorbed slowly. They can help avoid blood sugar issues and serious health conditions like diabetes. Now that you know what types of foods are ideal, it's good to know what to avoid. There are a number of foods that are toxic to your pup. They can cause issues like diarrhea, vomiting, and even death. You should avoid feeding your pup any leftovers. Many of these foods can be found in human recipes. While they may add some great flavor to human food, garlic and onions are highly toxic to dogs. Even small portions can lead to significant health issues. Grapes are another seemingly innocent food that can wreak havoc on your dog's system. You should always keep grapes and raisins away. Seeds contain cyanide. While a small amount won't bother humans or large dogs, your Chihuahua's small size can be a problem. * Always remove seeds from apples, cherries, and other fruits before giving them to your dog. Chocolate contains caffeine and theobromine, two lethal substances that can cause serious issues in very small dosages. The same goes for chemical sweeteners like xylitol. These sweeteners are found in many candies as a substitute for sugar. When you're scanning a kibble's ingredients list, look out for unnecessary fillers like corn, wheat, and soy. They're difficult to digest and offer no nutritional benefits. Artificial flavors, colors, and preservatives should also be avoided due to their unhealthy nature. Finding the right food for your Chihuahua is an important part of being a dog owner. While it can be frustrating when your dog avoids the food you put in front of them, you can use the experience to change up their diet and find an option that's delicious and nutritious.